Make writing your favorite part of scrapbooking, rather than leaving it until last and then stressing about what to say. 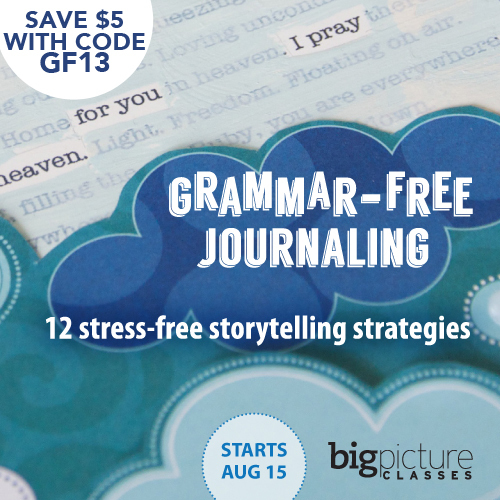 In Grammar-Free Journaling, Angie Lucas will open your eyes to 12 creative ways to express yourself, absolutely no paragraphs required. Whether you’re a photos-first or story-first scrapbooker, you’ll learn fun and effective new ways to journal in lists, quizzes, charts, graphs, Venn diagrams, and more. Class starts August 15.